The International Business Awards - the 'Stevies', are the only global, all-encompassing business awards program honouring great performances in business. Honorees were selected from thousands of organizations in more than 60 nations and territories. 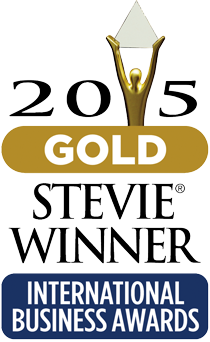 "We congratulate all of the Stevie winners in this year's IBAs," said Michael Gallagher, president and founder of the Stevie Awards. "The quality of entries we receive improves every year. This year's judges were rewarded with the opportunity to review more than 3,700 stories of business achievement and innovation from around the world." The continued success of our website and iPad app demonstrates our commitment to innovation and ease-of-use. We look forward to developing our website and iPad app even further.